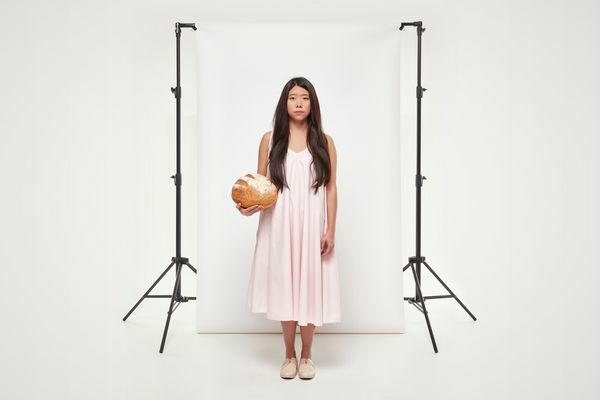 Stephanie Goh Hui En's (1988, Singapore) works play with design objects and product archetypes. Resulting in pieces that are at once somewhat familiar, yet peculiar at the same time. In acknowledging that many of her works are unable to realistically, and ethically, exist in the real world, she questions why this is so, and supposes how else it could be. By confronting what it means to conceive and create, the role of designer and creator are simultaneously attacked and defended. Her works contain an underlying polemic, as she negotiates between un-realistic consumerism in current times and the ethics that govern this production, while refraining from being insulated, pessimistic, and overly idealistic. Her work takes a particular interest in domesticity, dwelling, and the consumer products within a house; scrutinizing various aspects of the domestic setting, tearing them apart and putting them back together to push the limit of traditional readings of archetypes and systems. In the de-familiarization of the everyday, observers are pressed to recondition their own understanding of lifestyle.